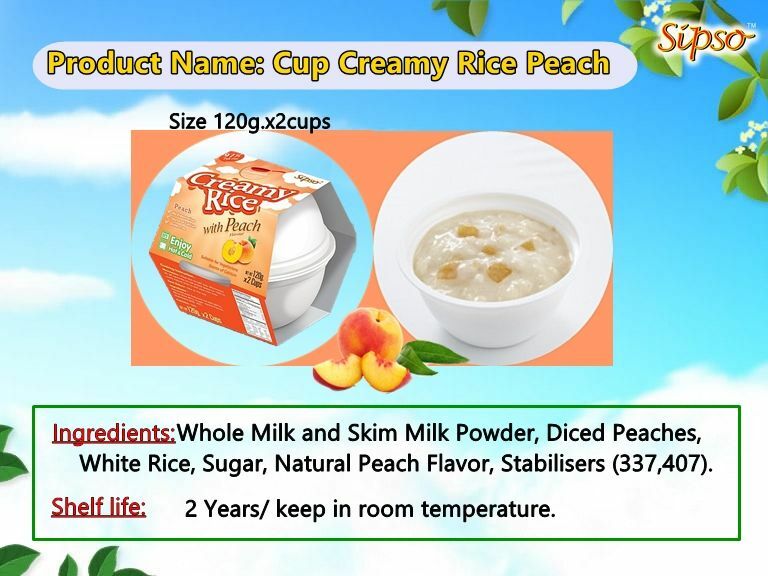 Enjoy Creamy Rice as the meal or snack easily anywhere and anytime !! 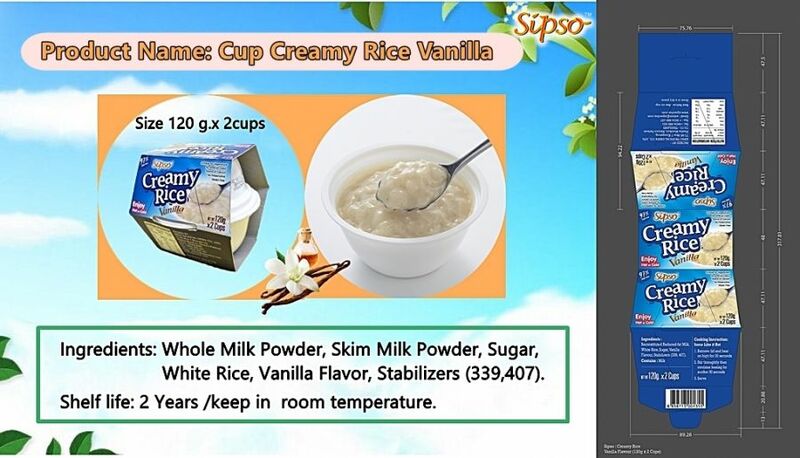 Vanilla or Chocolate flavor become delicious creamy rice and there are many benefits. 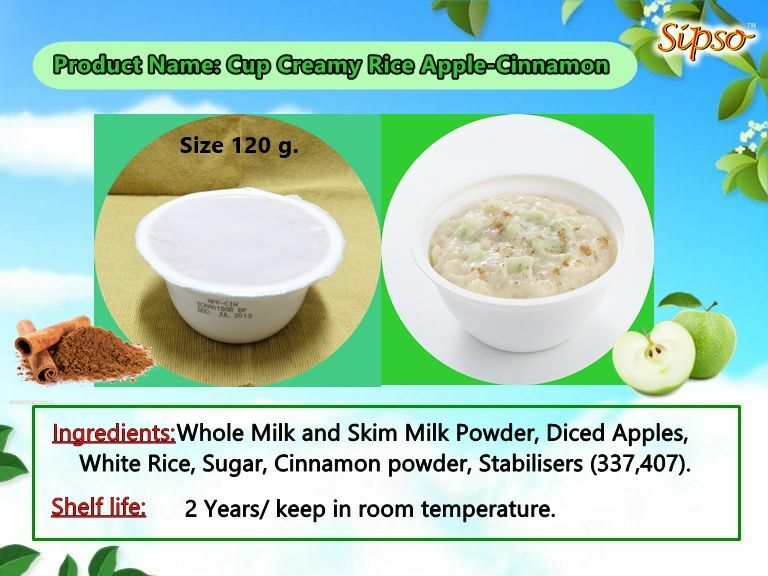 Our Creamy Rice is produced by sterilization that confirms eliminated and killed all forms of life. 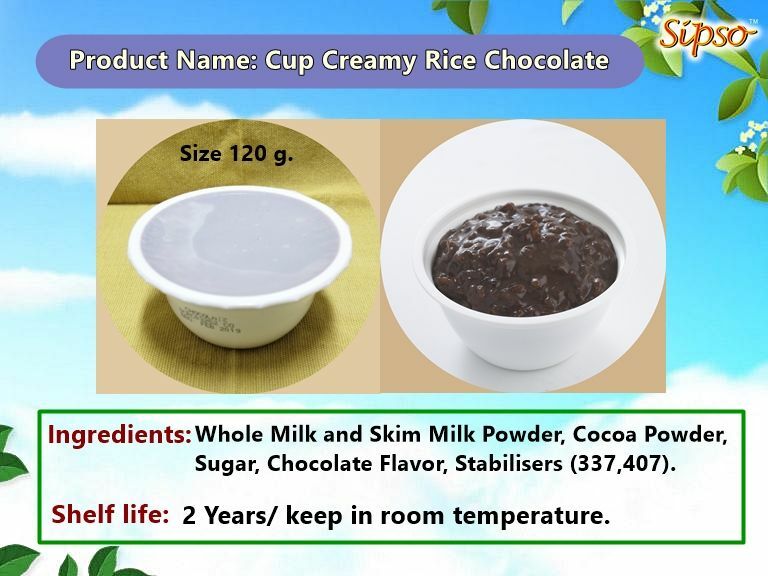 6 packs x (2 cups x 120 g.) 28 x 19 x 9.5 cm.